← The Seven Day Countdown Begins! 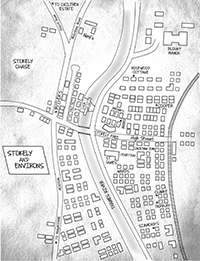 The Town of Stokely It's a fictional town, but based on a real one. 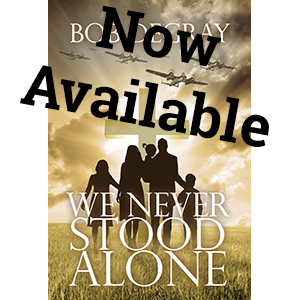 We Never Stood Alone is set in Stokely, a fictional town on the Thames River in South Central England. This is a beautiful spot where the Thames River passes through a gap in the Chiltern Hills. 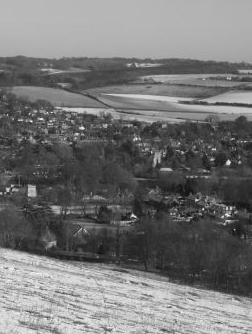 The two real towns in that same spot are called Goring (in Oxfordshire) and Streatley (in Berkshire). I fictionalized the town for convenience, but kept many aspects of the location for verisimilitude. 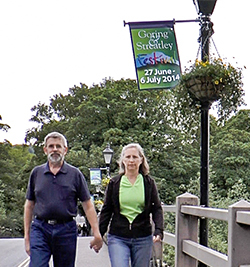 Like many River towns, Stokely has a lock and a weir on the Thames, and a historic bridge over it. Most of the town is located one the east side of the river (which runs roughly north/south in that part of its course), and that’s where the Great Western Railroad has a station. You can take the train south to Reading and London or north to Oxford and Birmingham. You can also take a boat through the locks to the same destinations. 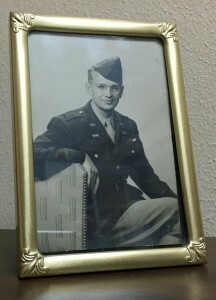 Lloyd Robins, the pastor of Stokely Free Church, spends a good deal of time walking around the town and it’s environs. (Click on the map for detail). 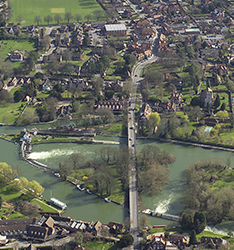 He enjoys seeing the Thames from the bridge, and from the hills on either side of the river. He also enjoys the hills themselves, especially after making the steep climb to Stokely Chase. 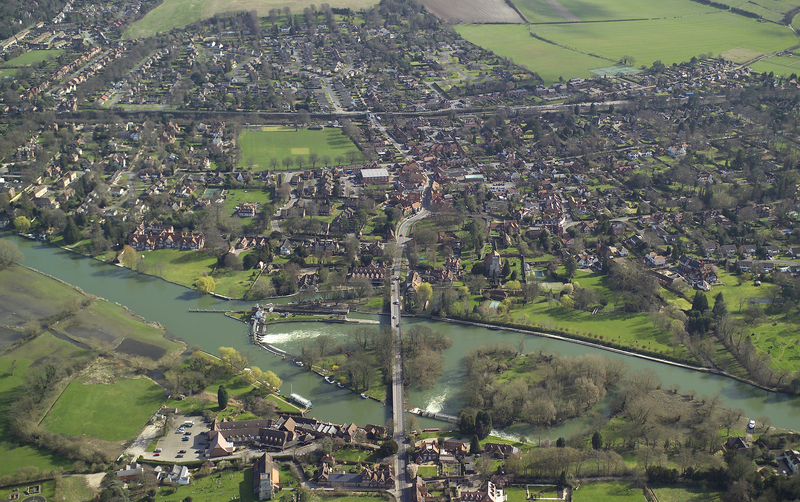 A few minutes spent with Google Maps will reveal that this spot on the Thames is actually home to two towns, Goring on the East side and Streatley on the west. I selected these as the prototype for the fictional town for several reasons. First, Goring does have a Free Church. I’m grateful to Nigel Gordon-Potts, the minister of Goring Free for the information and tour he gave me in 2014. Second, the town is close enough to London to be threatened by the Blitz, without itself really being a target. Third, I wanted the church to have a small-town faith-community feel. Finally, I grew up with C.S. Lewis’ descriptions of walking the English countryside, and I wanted my characters to be able to do that. 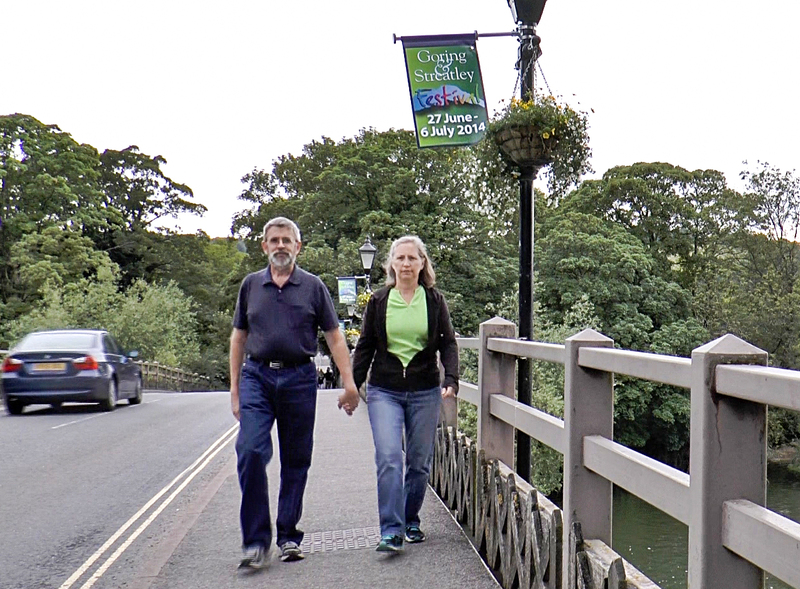 Gail and I enjoyed several such walks when we stayed in Streatley in 2014. 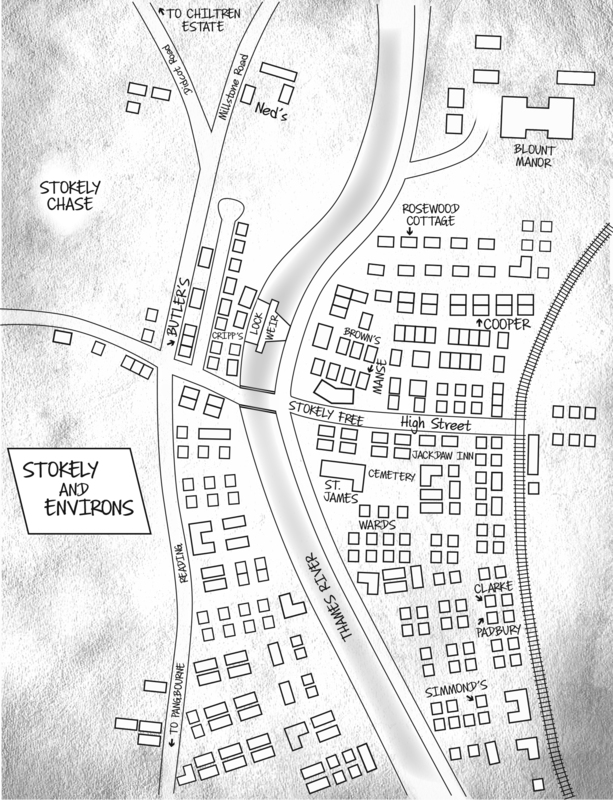 Differences between Goring/Streatley and Stokely are mostly intentional, and all for the sake of the story. I made the fictional town slightly larger and more diverse than the prototype, which has the reputation in real life as being a kind of playground for the rich. I stretched the distance between the river and the train station to have room for more houses and businesses in town. I also added the Manor north of town, placing it in a spot now mostly occupied by post-war housing. In fact most of the layout of roads and homes is entirely fictional. But within that fictional setting, I tried to keep everything as realistic as possible, especially the descriptions of homes and farms, the lock and weir and the trails and hills. Any errors remaining are my own, but I hope the results speak for themselves.